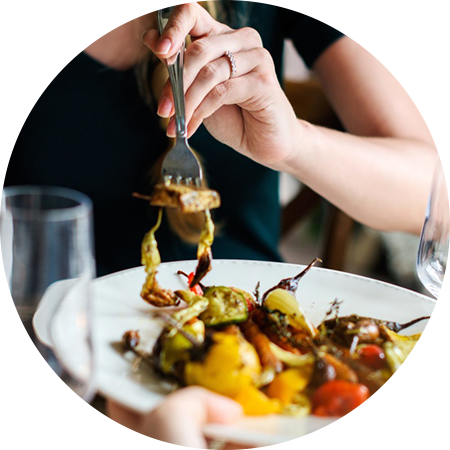 It’s Women’s Day and what better way to celebrate than with a fine dining experience, but if you’re lactose intolerant, eating out can be quite a hassle. For many, a special evening at a restaurant is a ‘grin-and-bear-it’ type affair, an indulgence that will come back to haunt later. There are some steps you can take to avoid any lactose-related issues. If you’ve found a lovely restaurant, but you’re not sure whether their menu is going to agree with you, make a call. There’s nothing wrong with speaking to a manager and finding out how flexible they are with their preparations and ingredients. A great way to avoid unwanted milk products is to order plain meat and salad dishes. ‘on the side’ means that you have greater portion control, but also it means you can avoid dairy-based condiments with ease. Avoid fried foods and fast foods. There are often ‘miscellaneous’ ingredients in fast foods which are not lactose-free. Besides the obvious health risks if you’re lactose intolerant, fast foods should be avoided in general. A religious kosher restaurant will always keep their meat and dairy separate. A good tip is to locate kosher ‘meat’ restaurants in your area. Pastas tend to be cooked with either a cream or a tomato-based sauce. Picking a cheese-free bowl of spaghetti bolognese is great, but avoid anything with a cream-based sauce, like an Alfredo. Thai, Chinese, Vietnamese, and Japanese foods are virtually dairy-free. They’re a great, safe option, and tasty to boot! Potatoes may not be your friends, especially if they’re mashed or baked. Dairy is often used in preparation, so go straight for boiled if you want to be sure. A good rule of thumb is just to be open and communicative about your expectations. A good waitron should be able to guide you on what is safe for you to eat, but making good choices when ordering, plays an important role.